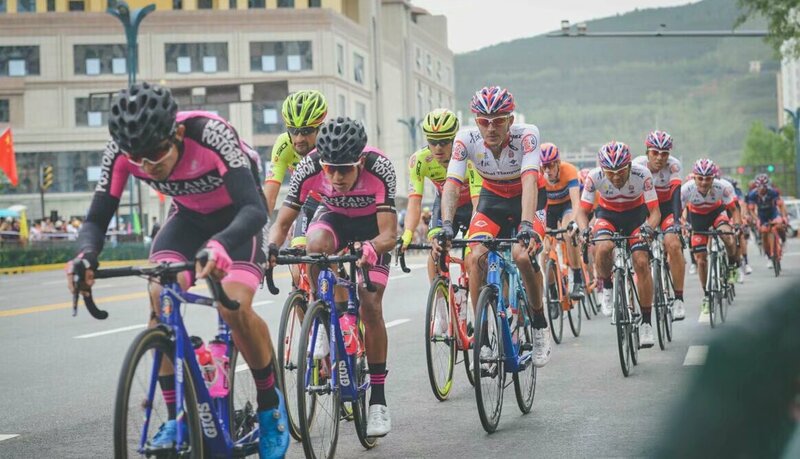 Tour of Qinghai Stage 2 happened on July 23, 2018. JONES Brenton from DELKO MARSEILLE PROVENCE KTM with record of 2:32:51 ranked first, HENNESSY Jacob from MITCHELTON – BIKEEXCHANGE and PACIONI Luca from WILIER TRIESTINA - SELLE ITALIA follows. Stage Two is Lap field, 14.4km/lap, totally 8 laps, distance115.22km. The second stage has a smooth field. 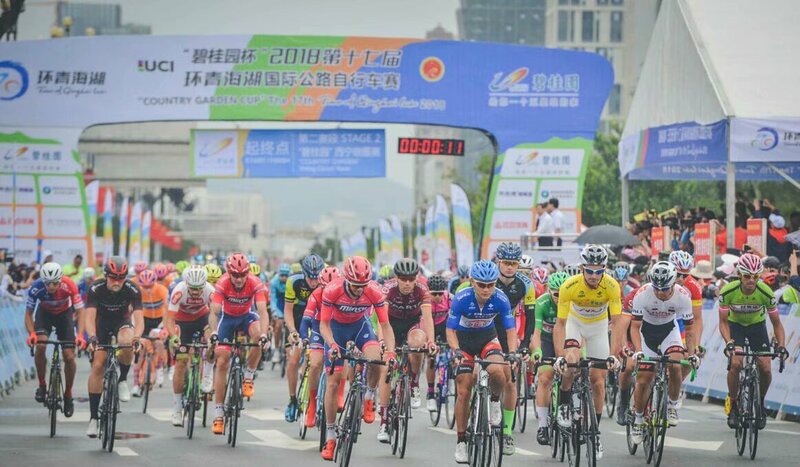 The race just began, LI Zisen from Moon Sponsored QINGHAI TIANYOUDE CYCLING TEAM, KAMYSHEV Arman from VINO - ASTANA MOTORS, and HUDRY Florian from INTERPRO STRADALLI CYCLING break out. By the beginning of the second lap, the three leader increased the distance to 2 minutes and 30 seconds. 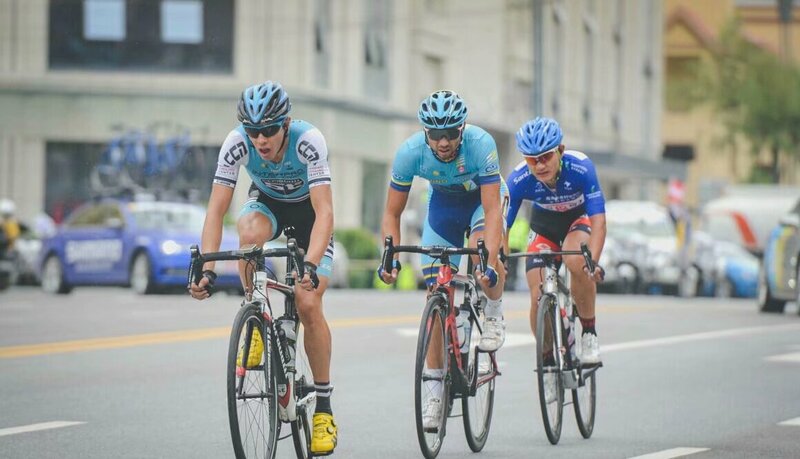 Li Zisen from rom Moon Sponsored QINGHAI TIANYOUDE CYCLING TEAM is the first one pass the first sprit point, KAMYSHEV Arman and HUDRY Florian is second and third. 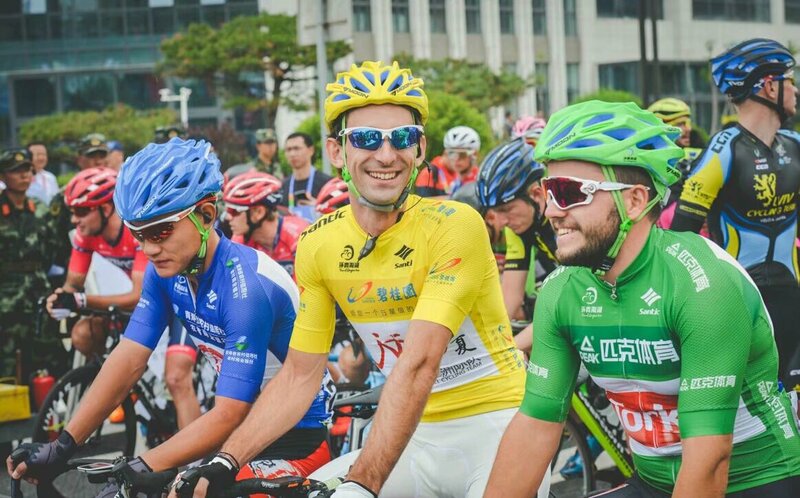 Right after the first sprint point, some of the players tried to catch up with the three riders who are leading groups, but all pulled back by the big group that controlled by NINGXIA SPORTS LOTTERY LIVALL CYCLING TEAM. 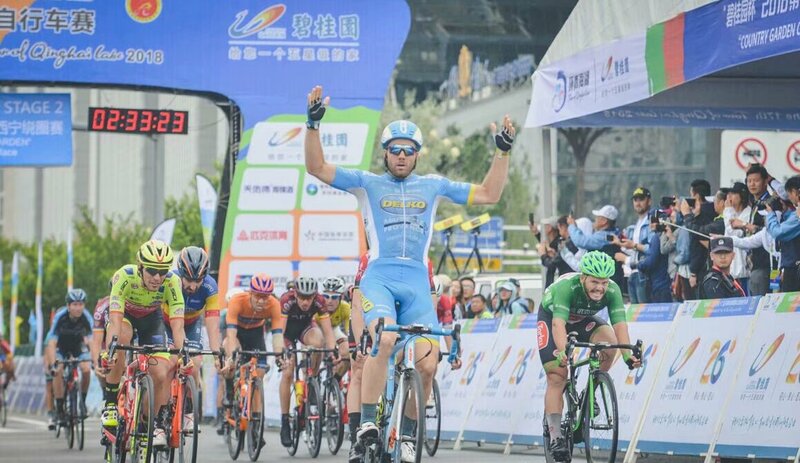 The second sprint point’s first place is KAMYSHEV Arman, LI Zisen from Moon Sponsored QINGHAI TIANYOUDE CYCLING TEAM, ranked the second. In the second half of the race, distance to three leading riders is smaller. HUDRY Florian from INTERPRO STRADALLI CYCLING firstly passes the third sprit point. 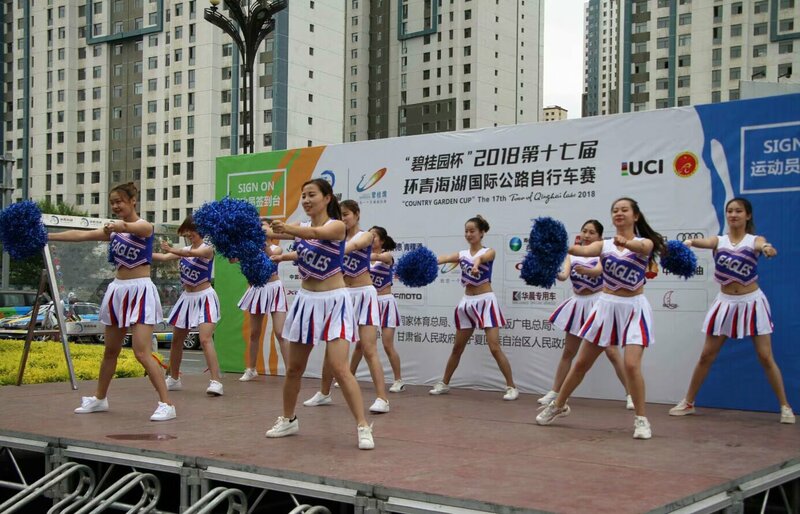 Followed by LI Zisen from Moon Sponsored QINGHAI TIANYOUDE CYCLING TEAM. KAMYSHEV Arman is the third. After the third sprit point, Arman gets back to group. HUDRY Florian solely leads the race. Riders from the group are breaking out to catch up. DOWNIE Matthew from HOLDSWORTH PRO RACING Team and HUDRY Florian made a leading team. Last 8km left, DOWNIE Matthew and back to group and finally whole group spurt! Finally, JONES Brenton from DELKO MARSEILLE PROVENCE KTM wins the first place and collects both Yellow and Green Jersey. 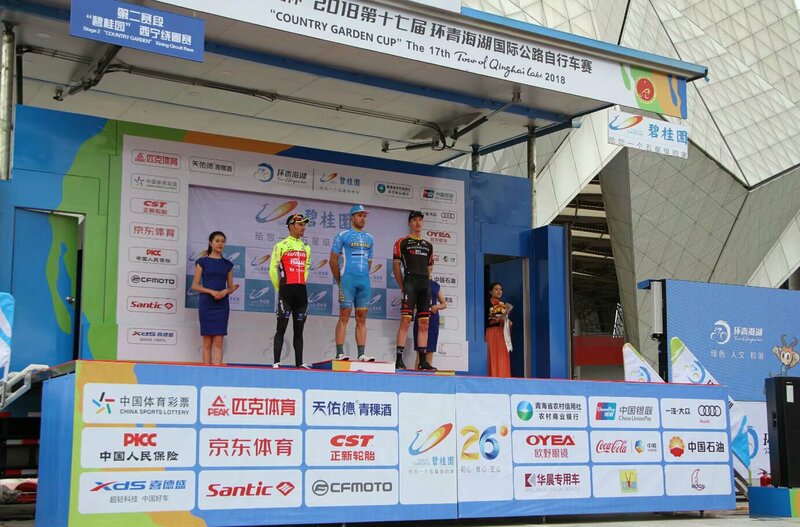 Li Zisen from Moon Sponsored QINGHAI TIANYOUDE CYCLING TEAM keeps his Blue Jersey in bag.